Ideal for backpacks or wedgebags. 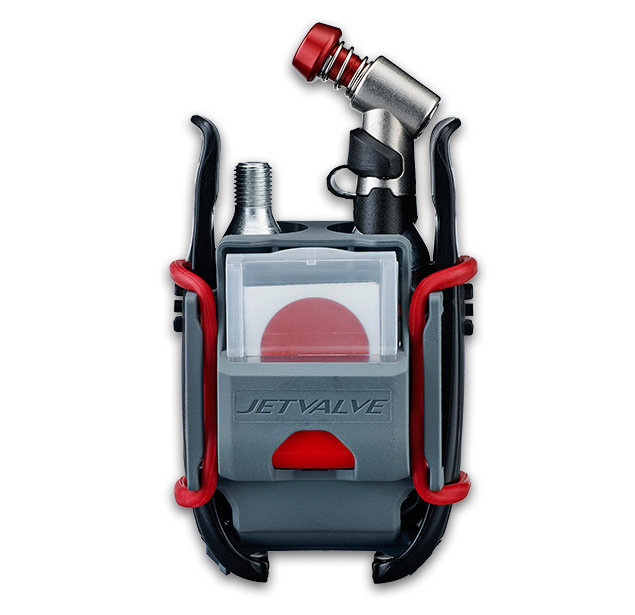 Includes two tyre levers, two CO2 cartridges, inflator head and selfseal patches for quick and easy puncture repair. Complete with silicone straps for secure carrying. Lightweight mounting systems for our CO2 inflator with silicon straps to attach to your seat post, bottle cage, or for keeping in your pack. "The robust design and stylish looks make it hard to justify spending more."